The Twisted Ring Link Necklace is simple and elegant. It includes a twisted ring that Steve makes special from sterling silver and yellow gold filled wire. 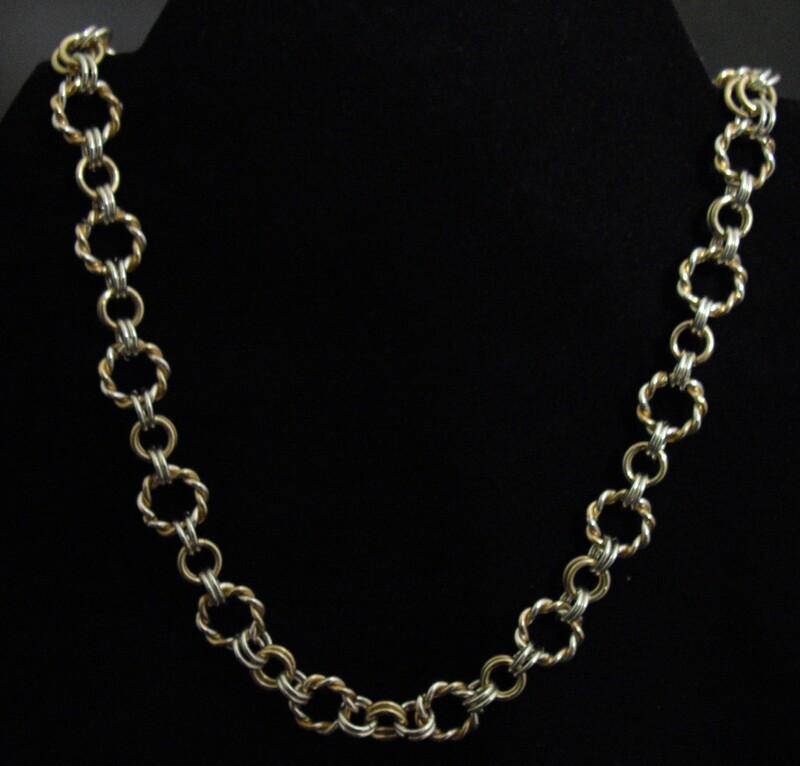 The necklace is 18 inches in length. This is a beginner weave. A sterling silver balloon clasp is included in the kit.